Warrior Within Designs is a family owned American Made ethical clothing company specializing in colorful, vibrant wearable art creations for women & men. Established in 2009, our designs are all original & unique in fit offering multiple uses per garment. 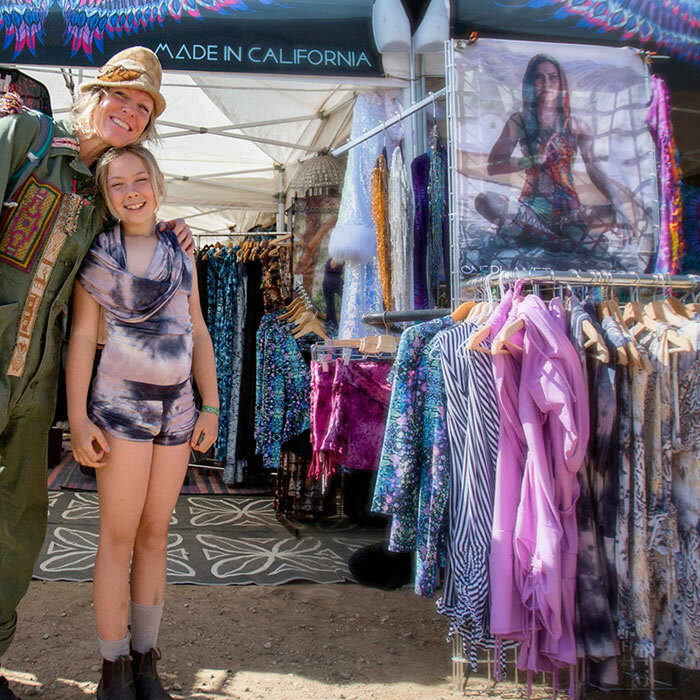 We create our own prints, collaborate with visionary artists and create our own hand dyed pieces which are all one of a kind. The most sustainable thing we can do in this modern world is to keep it local…which we do in all the ways. Our designing, manufacturing & fabric printing is all done right here at home in the beautiful San Francisco Bay Area. We make every single thing we sell ourselves and have from the beginning. Every part of our business model is about quality first and bottom line second. That is why we have been made in the USA since day one.